I can’t believe that Easter is almost here, time has flown this year (and Easter is actually very early). I have been looking at Pinterest and there are some amazing egg decorating ideas which I hope to try next weekend. 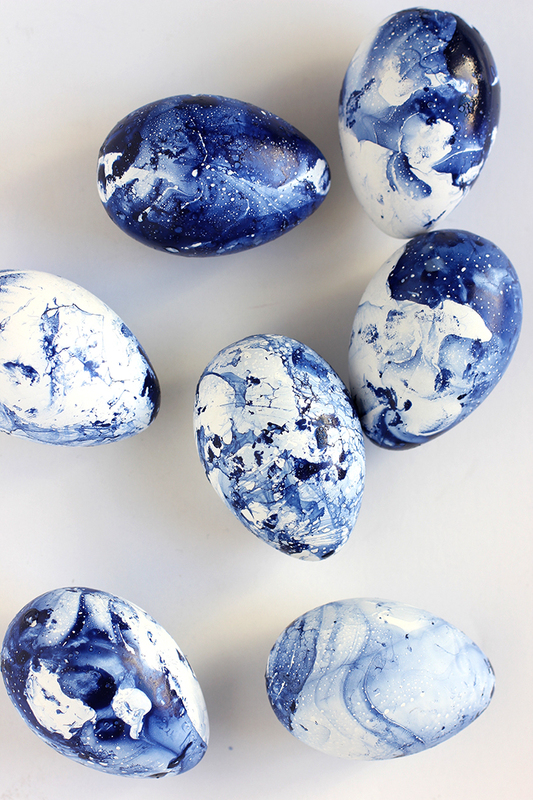 Above are these beautiful DIY marbled eggs from Alice & Lois. This ‘egg angel’ from Flax & Twine is just gorgeous, so simple but so pretty. The flower crown is make with thin wire and gypsophila (baby’s breath), you can see all the instructions on the Flax & Twine blog. 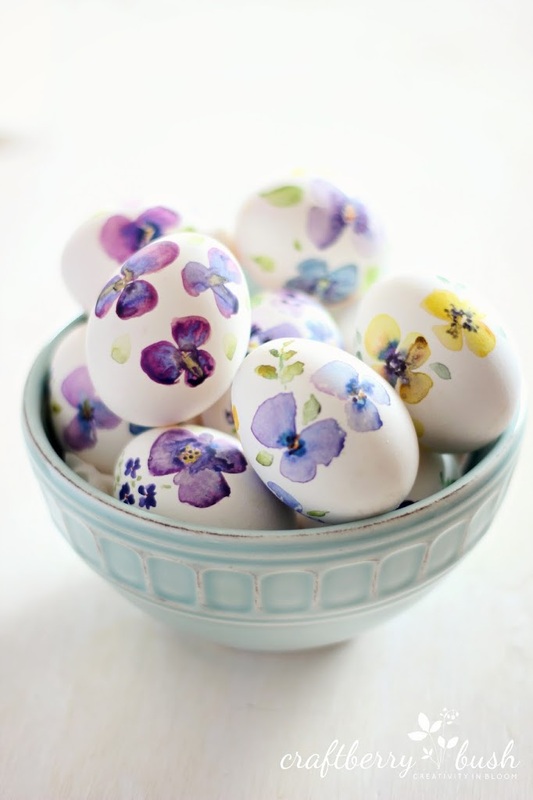 I also love these watercolour eggs from Craftberrybush. Some skill is required to paint so beautifully but I am sure something is possible! 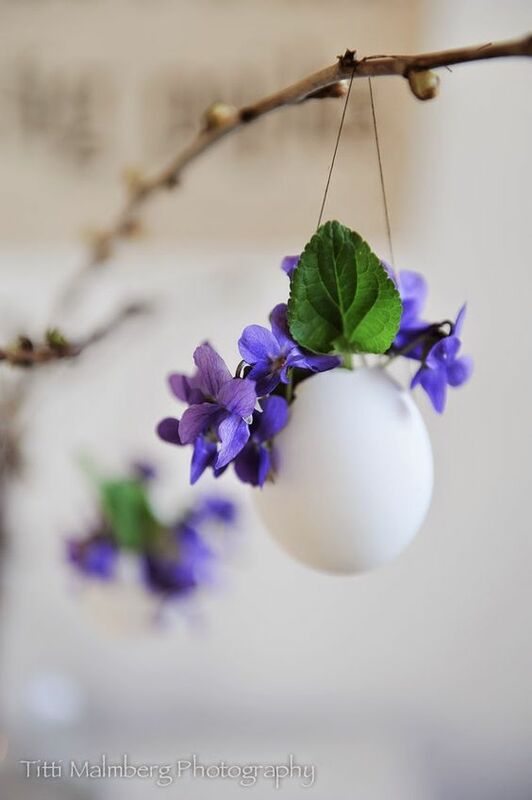 Using egg shells as mini flower pots is a lovely idea, fill with small flowers like violas or small narcissi and hang with twine, at Hwittblog. How about using a vase filled with eggs and spring flowers, from Stonegableblog. You could fill the vase with our paper cherry blossom. 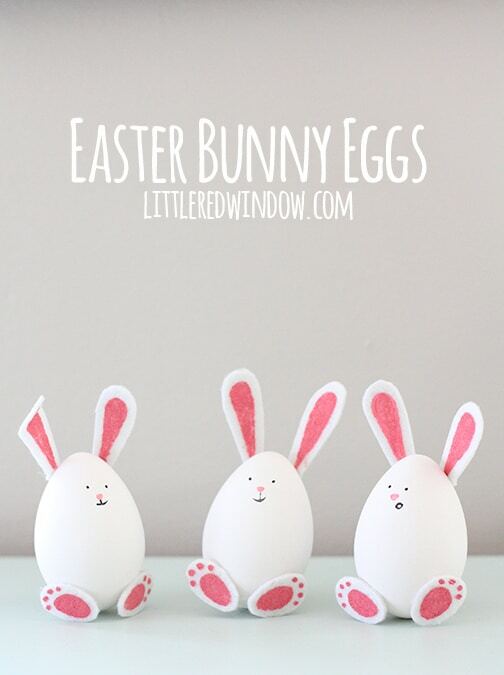 Finally, one that will appeal to children are these very cute bunny eggs from Little Red Window. Hope you have fun decorating! This entry was posted in Latest News, Uncategorized and tagged creative easter eggs, easter egg decorating ideas, egg decoration.